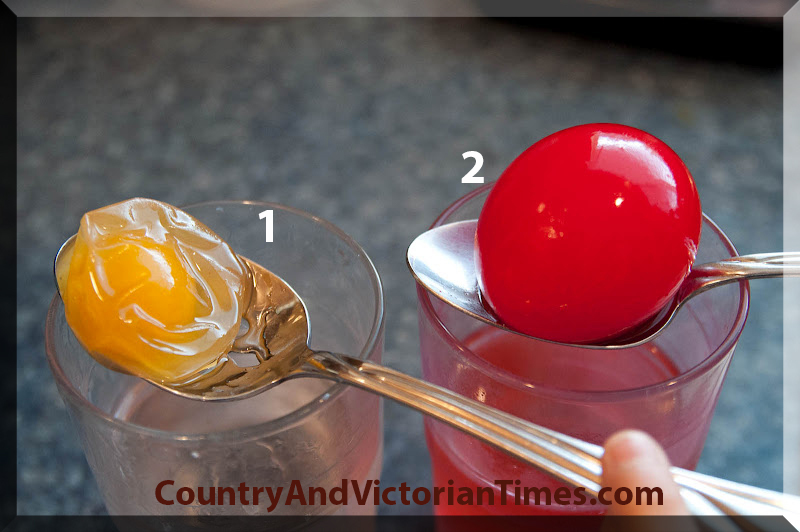 Put an egg in a cup and fill it with apple cider vinegar till egg is covered. Cover tightly and let it sit. Each day give it a swirl. At the end you rinse off the egg and VIOLA! A rubber egg! Just be careful…it will bounce but is still delicate and very smelly when it breaks. LOL …Not rotten — just smells like vinegar. Always keep it in the fridge during the whole process! Added tip: If you place the “naked egg” in corn syrup, it will shrink/shrivel up. The vinegar inside the egg moves through the semi-permeable membrane. This entry was posted in Crafts ~ DIY ~ Projects, Tid-Bits & Funnies, ~Edible and tagged Apple cider vinegar, Biology, egg, eggs, fun, project, science, vinegar. Bookmark the permalink.